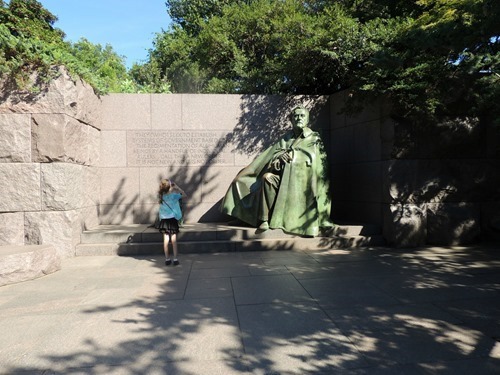 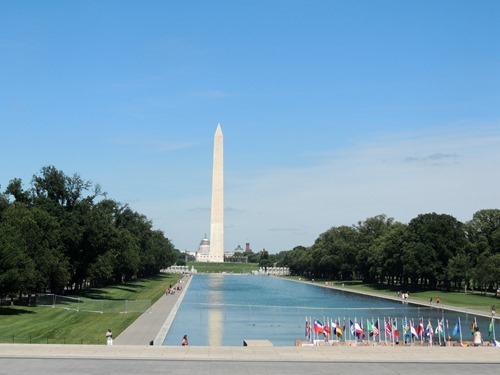 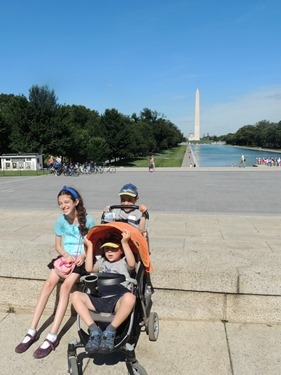 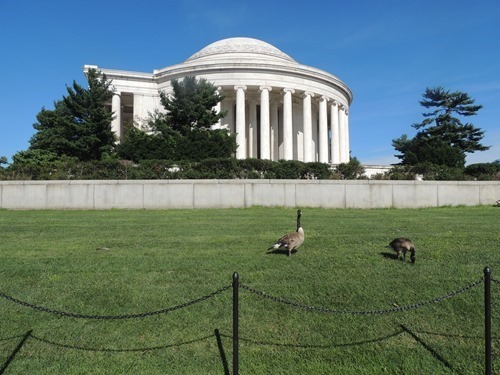 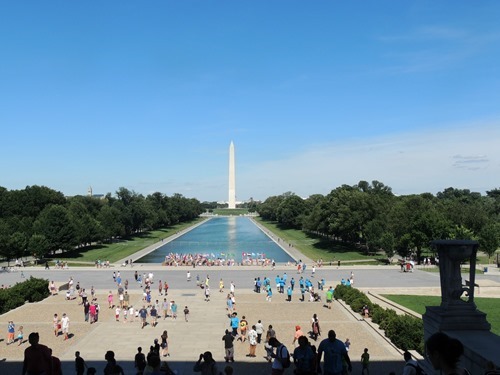 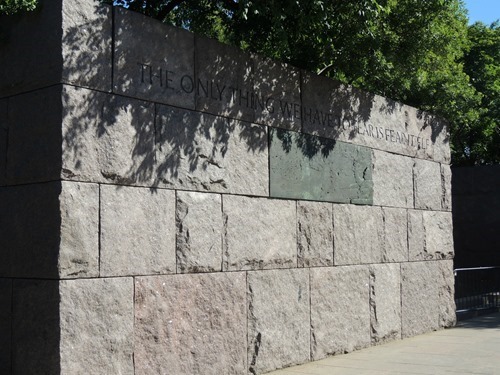 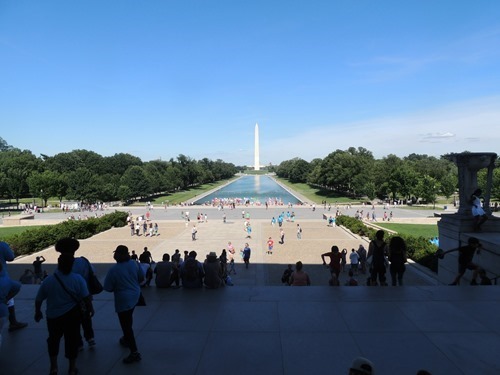 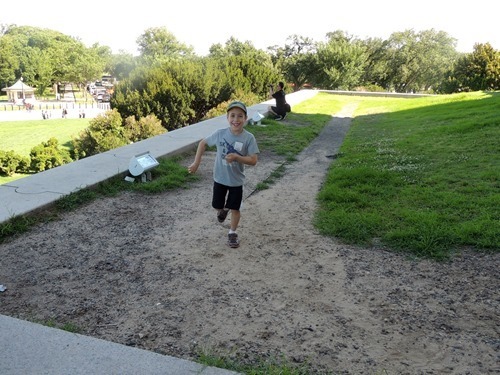 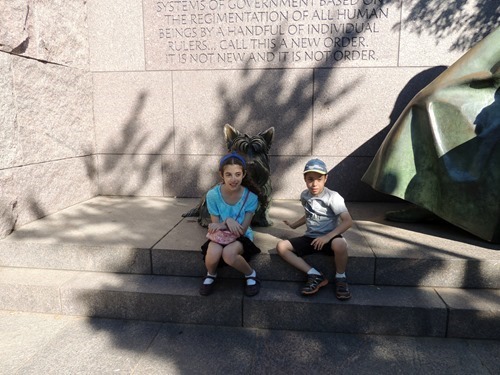 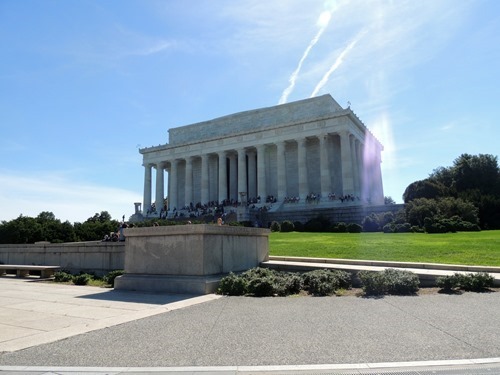 Having just left the Washington Monument, we continued our tour around the National Mall. 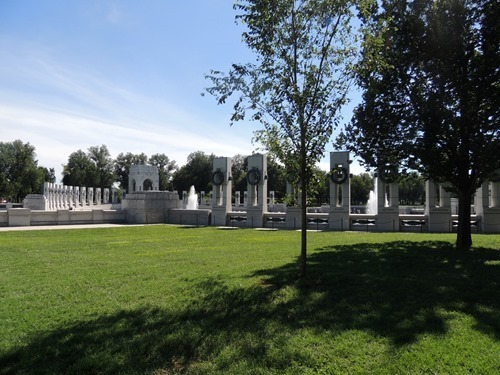 We first came upon the World War II Memorial. 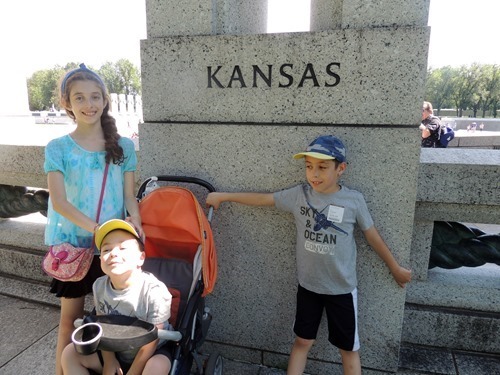 Yes, we are from Kansas! 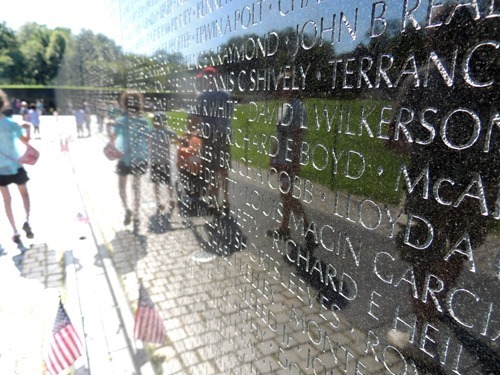 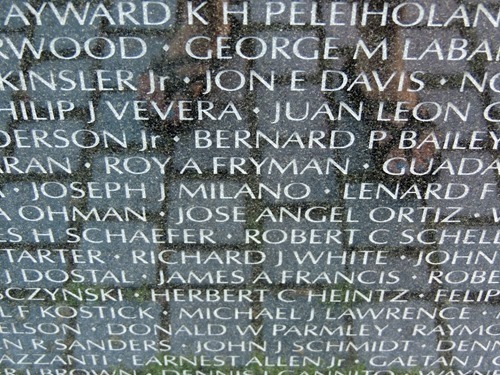 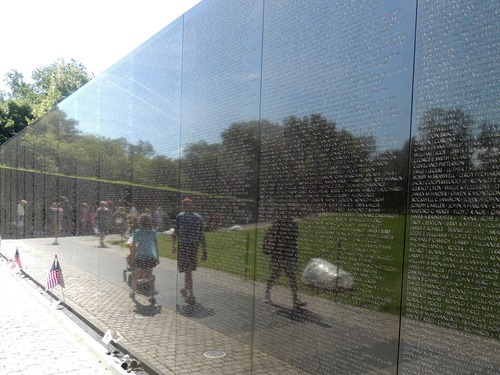 From there, we continued to the Vietnam Veterans Memorial. 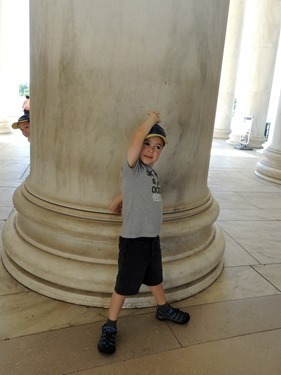 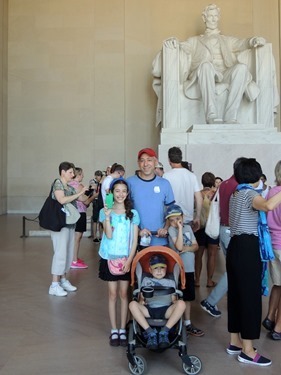 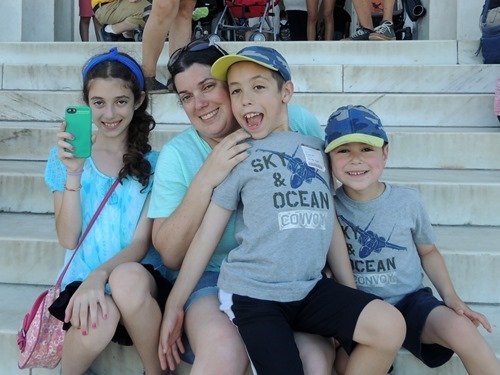 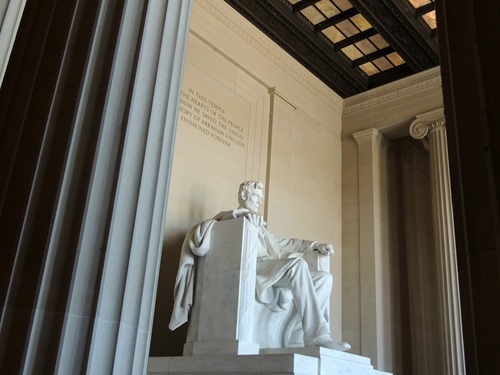 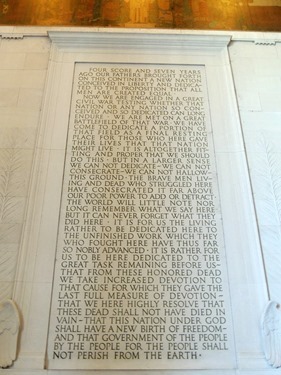 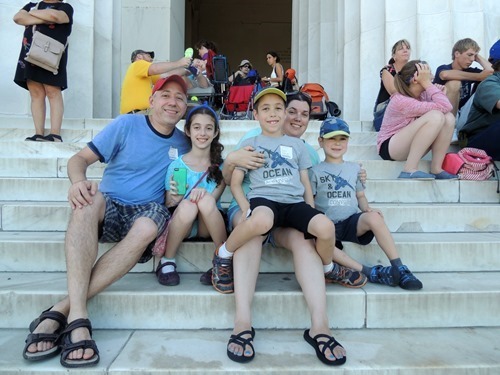 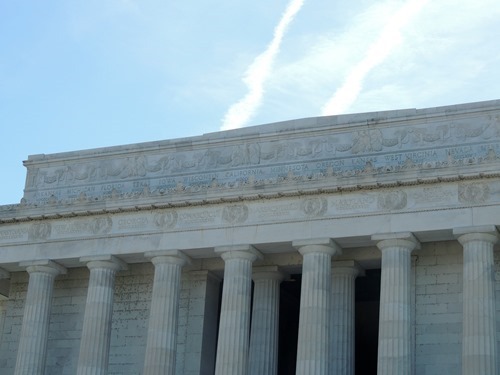 We made it to the Lincoln Memorial, another iconic memorial that required tons of pictures! 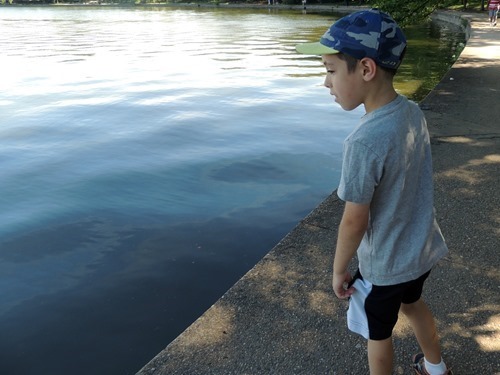 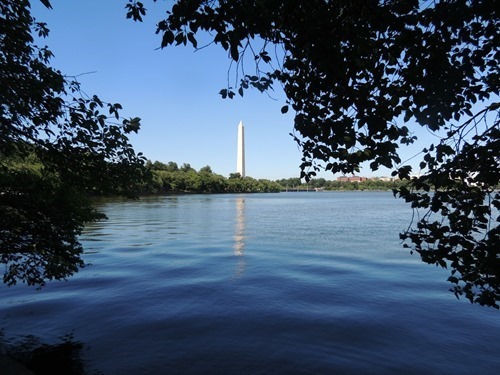 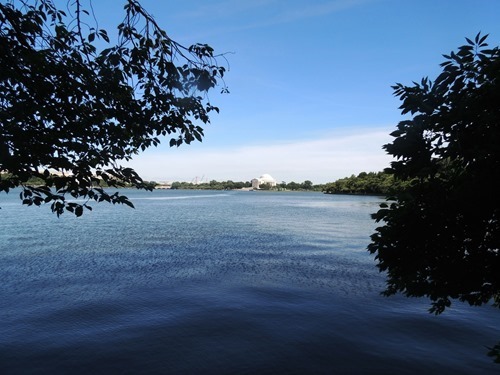 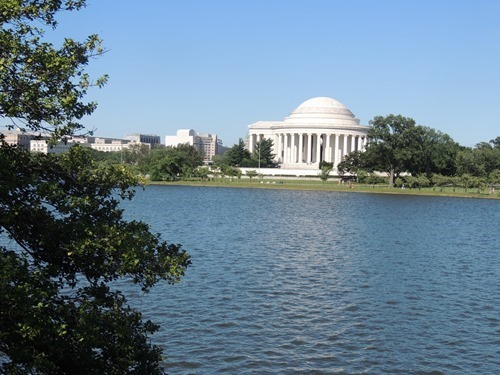 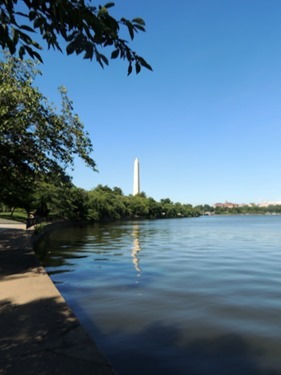 Next up was a walk around the Tidal Basin, a part of the Mall where neither Dave nor I had been before. 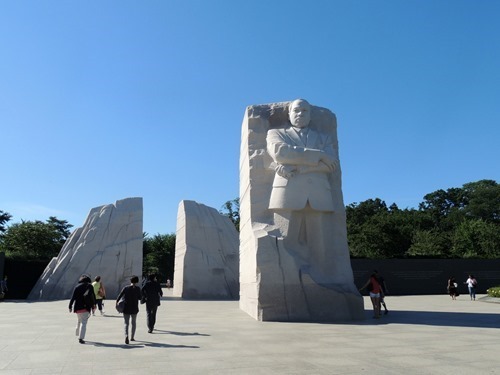 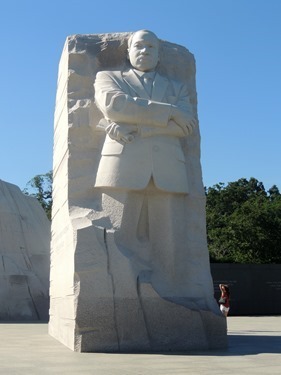 The first stop there was the Martin Luther King Jr. Memorial. 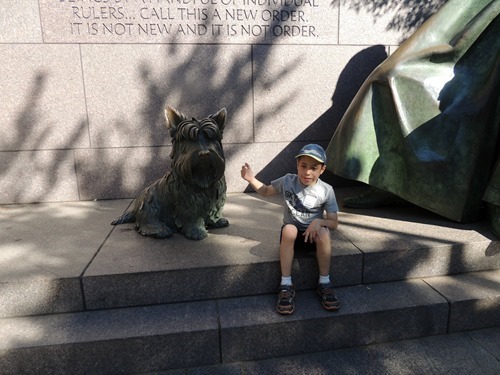 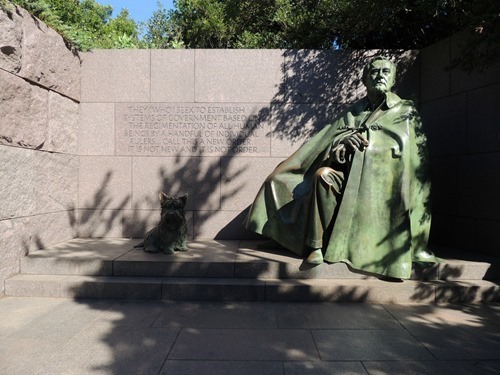 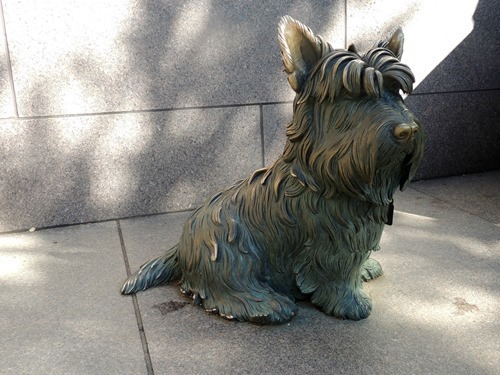 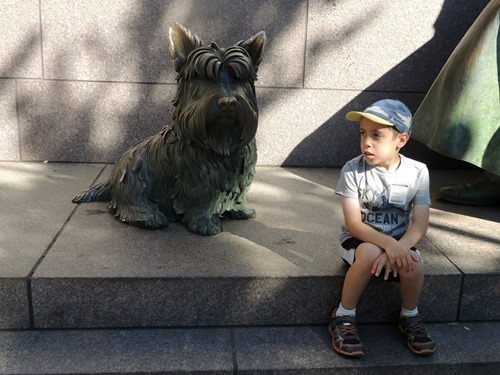 FDR had a Scottie, just like we did! 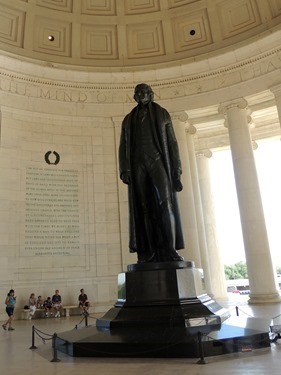 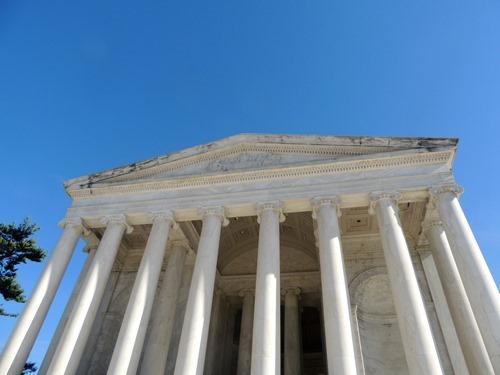 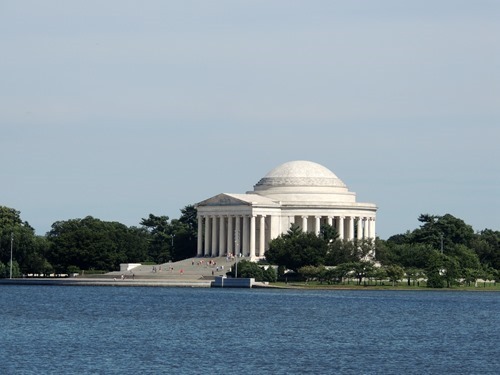 Finally, we reached the Jefferson Memorial. 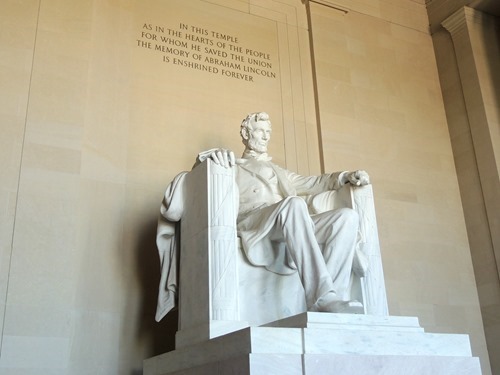 By then, although I’m usually fine walking long distances, my legs were killing me and I thought I’d fall over and be unable to continue! 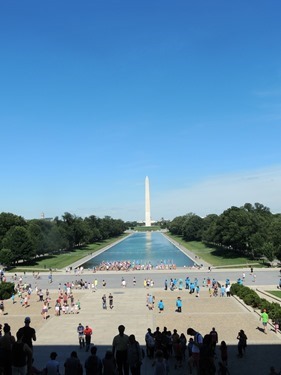 But we still had to walk back to the metro station! 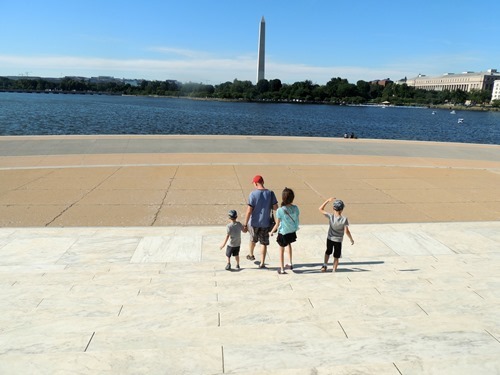 Luckily I made it just fine, because we still had one more day left in Washington D.C. – stay tuned for more!